All 18 Hertz promo codes have been verified and tested today! Rent for the Weekend or Week and Get a Free Day! Always on the go? Download the Hertz app to make your travel experience even easier. The app is available for iPhone, iPad, and Android users. Plus, the app is simple to use and makes your car reservation experience even smoother and easier. Download the app today either in the App Store for iOS or the Android Google Play Store. Always travel with the Hertz app in your back pocket - you won’t regret it. Could you be qualified for immediate savings on your next rental car? Hertz provides customers with many different ways to save on a rental car. Customers over the age of 50 receive 20% off of their car rental every day by using a special Counter Discount Program number at checkout. You’ll also receive additional savings by combining the Over 50 Discount with other Hertz promo codes available on the site. Are you a AAA member? You can also save 20% off of your rental car when you include your AAA number in your reservation. Finally, Hertz wants to thank military members and veterans for their service to this country. That’s why they provide a special military discount of 10% off. Own a small to medium-sized business? You’re eligible for savings when you rent a car by signing up for Hertz Business Rewards. As a member of the Business Rewards Program, your business will earn points for every car rental reservation. With enough points, you can get a discount on your rentals of up to 30% off plus you can earn free rental days. Want to be the first to know about all the ways to save on your car rental? Sign-up for the Hertz newsletter and get all the best deals sent straight to your inbox. You’ll receive exclusive email subscriber offers, Hertz news, information on earning bonus rewards points and much more. Plus you’ll earn a 15% off coupon to use on your next rental car reservation just by signing up. Daydreaming about your next vacation? Travel along with Hertz on social media to get travel inspiration and receive special discounts and Hertz coupon code information. You’ll be amazed by the beautiful photography and the amazing sales featured on the Hertz social media pages. You can even find special sweepstakes information exclusive for social media users. Make your dreams a reality and connect with Hertz on Instagram, Facebook, Twitter, and Youtube. Hertz can even help you save on your accommodations while you travel. One popular Hertz coupon included a free gift card for $50 off your hotel stay. Now that’s how you keep the savings going. Unable to find any of these coupons available now? Keep an eye out for major savings by checking back regularly for special promotions and sales - you never know how you could save next. Don’t waste money on your next car rental reservation, book with a discount code today. You’ll even earn points on other services like Hertz NeverLost, SiriusXM radio, Insurance coverage, and much more. You only need 550 points to get to rent a car for free on a weekend day. You can even redeem your points on a full range of cars and destination - the options are limitless. Is your spouse or a domestic partner taking a trip? Transfer points to them so they can save on their rental car as well. Everyone can save as a Hertz Gold Member. Can’t find these deals? Check back often since Hertz promo codes are added frequently. You might just find yourself a discount on your next travel destination. Want to see these deals and more? 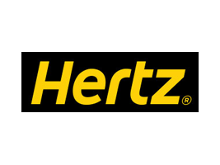 Go to the Hertz webpage and you’ll find Hertz coupons under the tab “Discounts and Coupons” where you can see all the current car rental deals happening now.